Charlton- Rosemarie J. (Tetreault) Gregoire age 84 passed away Wednesday, January 16, 2019 at Harrington Memorial Hospital, Southbridge, MA. She was married to Donald N Gregoire until his death in 1999. She later was married to Robert Gregoire who predeceased her in 2013. She leaves five sons; David N. Gregoire and his wife Kimberly of Rutland, Richard J. Gregoire and his wife Christine of Spencer, Andrew E. Gregoire and his companion Maryann of Sturbridge, John A. Gregoire and his wife Linda of Spencer, Glenn A. Gregoire and his wife Karen of Oxford, two daughters, Linda M. Devine and her husband Michael of Chicopee, Donna Gregoire and her fiancee Timothy Rubringer of Dousman, Wisconsin, twelve grandchildren and fourteen great-grandchildren. She had a brother and a sister that predeceased her, Joseph Tetreault and Delia Lamonda both of Spencer. She was born in Spencer daughter of the late Napolean Tetreault and Delia (Forgit) Tetreault and lived in Charlton for the past six years, prior to that living in Spencer. She was the former owner of Gregoire Catering and Vending. Rosemarie enjoyed reading, knitting, crocheting, motorcycles and quality time with her family. There are no calling hours. A Mass of Remembrance will be held Saturday, February 2 at 10:00 AM at St. Joseph Church, 10 H Putnam Rd., Charlton, MA. Burial at Holy Rosary Cemetery will be at a later date. Please omit flowers but donations may be made to the Joslin Diabetes Center, One Joslin Place, Boston MA 02215. 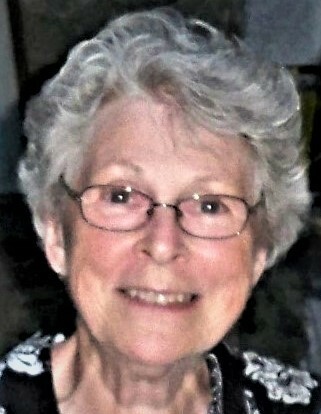 The Shaw-Majercik Funeral Home, 48 School St., Webster, MA has been entrusted with her arrangements. A guest book is available to post a condolence or light a candle.